Need to work with your team to meet a tight deadline but can’t step out because the rain just doesn’t stop? Or missing out on a client meeting in New York because you have to attend an important event in Dallas? Why choose one when you can do both! With Flock’s in-app video conferencing tool, you can keep in touch with your team and clients from wherever you are! 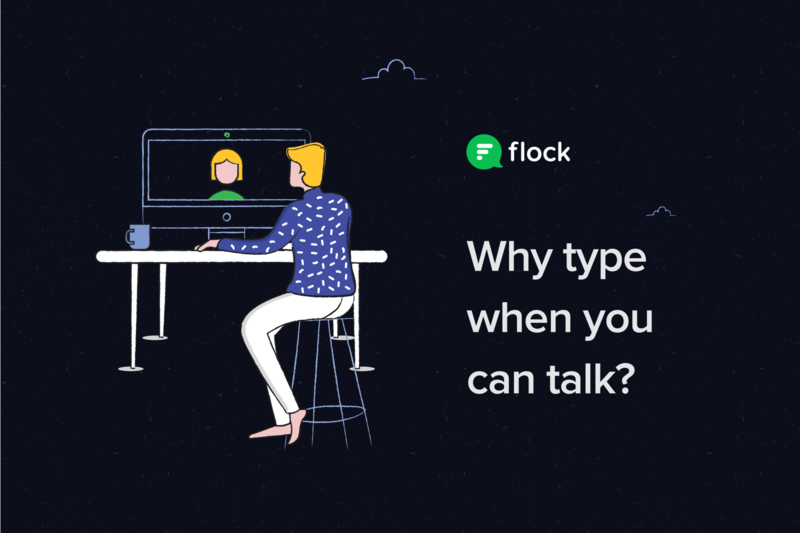 All you need to do is install Flock, open a 1-on-1 chat or channel, click on the video icon & get chatting! You can also share your screen and manage call settings, all from within Flock! Making a call in Flock is as easy as ever. Simply click on the video icon in your chat panel and get talking. Alternatively, just use the slash command ‘/video’ in the text field, hit enter and you’re good to go. Caught up with some other work? You can even choose to accept or decline the calls you receive. No need to add members to a conference call individually. With Flock, you can connect with up to 20 channel members (under the Pro plan) and up to 4 for 20 minutes (under the Free plan). Simply click on the video icon in a channel and have everyone join the call instantly. Need to run your team through your sales figures? 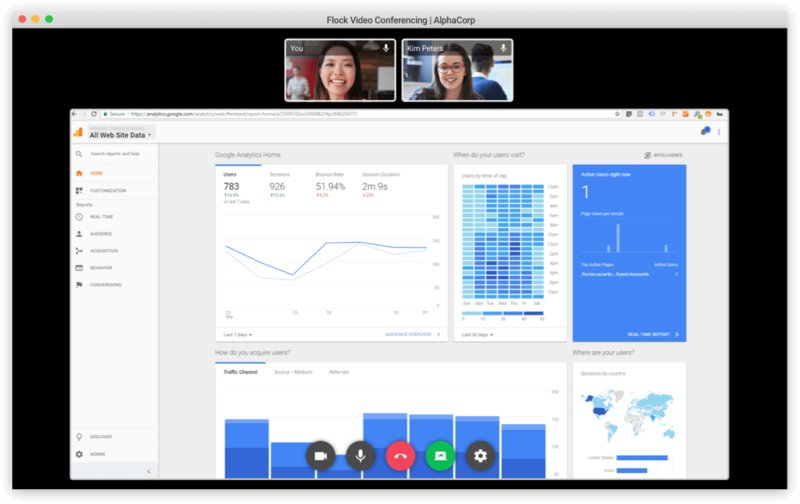 Upgrade to Flock’s Pro plan to share your screen with your team and explain things better. Just click on the ‘Start screen sharing’ button and select the screen you wish to share. Everyone on the video conference can now see your screen. With a native video conferencing tool, you don’t have to worry about tool downtime. We make sure Flock and all its tools run seamlessly all the time. And, if you feel like you can help us make the tool better, just share your ideas with us in a mail, and we will try our best to make the tool better for you. The tools works great on Android and iOS devices. You can mute your mic to avoid disturbance (traffic or crying toddlers, anyone?). And if you drop out of a call, you can join back in immediately by clicking on ‘Join now’ again. Plus, Flock remembers your camera and mic settings. No more annoying pop ups. With such a super video conference tool, why type when you can talk!